Bollywood buffs, cinegoers and millions of Salman Khan fans had been waiting for his film 'Tubelight' to release on June 23. And now it has been 11 days since the film hit the celluloid. Every time a Salman Khan movie happens to hit the theaters, we witness a storm beforehand, advance booking of tickets and the craziest fans even taking leave from their work. But the fate this time seems to have altered. Recommended: Tubelight Twitter Review: Will The Film's Fate Alter Or Super-Stardom Is Enough? As per a tweet by trade analyst Taran Adarsh, 'Tubelight' minted Rs 21.15 crore on the first day i.e. June 23. He also tweeted Salman's first day collections of his previous films released on Eid. Last year, 'Sultan' could easily manage to touch Rs 36 crore mark on the release day itself. Tubelight's opening day collection hence becomes almost Rs 15 crore behind 'Sultan'. Clearly, SS Rajamouli's Prabhas and Anushka Shetty starrer epic saga 'Bahubali 2' is the only movie which is on a better position than 'Tubelight'. Again according to the figures tweeted by Taran Adarsh, 'Tubelight' minted Rs 21.17 crore. That's same as the first day. 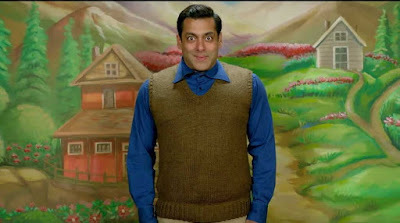 Combining the two, 'Tubelight' in its two days of release has managed to earn Rs 42.32 crore. #Tubelight Fri 21.15 cr, Sat 21.17 cr. Total: ₹ 42.32 cr. India biz. #Tubelight Fri 21.15 cr, Sat 21.17 cr, Sun 22.45 cr. Total: ₹ 64.77 cr. India biz... Eid festivities should boost biz today + tomorrow. According to Taran, 'Tubelight' is the lowest Salman's lowest opening weekend in three years with 'Sultan' at top with Rs 105.30 crore. With these figures it can be said that box-office figures this time are not in favour of Salman. These are not even mildly roaring numbers. With Salman, fans expect a massive opening. Salman Khan's 'Tubelight' box-office collection in the 11 days so far speak of the evidently clear plunge at the ticket counters. In the second weekend 'Tubelight' could barely manage to mint Rs 8 crore. It garnered Rs 2 crore, Rs 2.5 crore and Rs 3 crore on the second weekend days. With this the overall collection, 'Tubelight' now stands at approximately Rs 123 crore in 11 days. In a recent interview on being asked about 'Tubelight' box-office collection Salman Khan said- "The critics were like really good. I was expecting minus 3 and minus 4 and they gave me 1 and 2, apparently. So, I am very pleased with that." Salman Khan in 'Tubelight' is totally in new looks, totally in different locations and even his acting seems pretty odd, odd in the sense of his prowess. Unlike his previous films where his prowess had been his muscular strength, this time it's ‘faith’. Isn’t it weird to hear the reel Salman on celluloid taking about faith to fight a problem? We haven’t seen such an emotional Salman before except in 'Tere Naam'. But is the element of being different and ‘hatke’ going to cost Salman his money? Well, it seems it already has. In a recent interview with the Firstpost, Salman said in his own words- "I doubt that Tubelight will break Baahubali 2's record, because the latter is one of the most freakish films that has been made"
In the same interview Salman also added- “As long as nobody loses money, I am fine. I don't feel the pressure." But then the question ‘Will 'Tubelight' roar at such a large scale as 'Bahubali 2' and 'Dangal?’ has already been answered. And it's a straight NO! 'Bahubali 2' appealed to pan-India audience and was released in four different languages on the first day itself. It was a sequel to an already-blockbuster film 'Bahubali: The Beginning'. As for 'Dangal', it appealed to the emotions of every Indian household. 'Tubelight' has not managed to achieve either of the two.